While the most common iron baluster colors are oil rubbed bronze and satin black, many other color options are available. 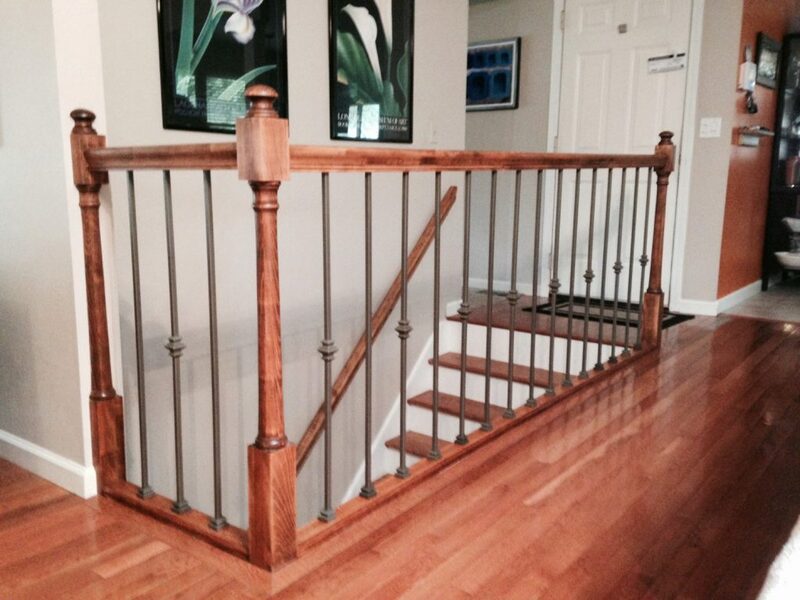 In this project, the customer selected ash gray balusters from the versatile series. Using a unique baluster color in your home can serve several purposes. In one home, a different color may be an accent piece. However, in a home like this one, it may tie the staircase in with the walls or decor. No matter what color you select, adding wrought iron balusters to your stairway will add a contemporary touch to your home.